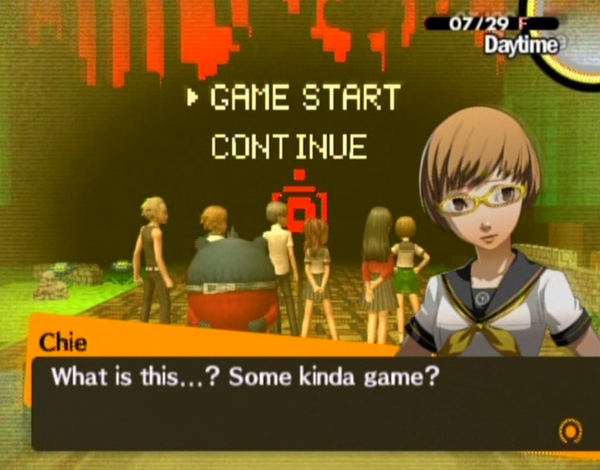 Having LOVED 'Devil Survivor' for the DS, I seeked out games made by the same developers and came across the Persona series for the Playstation 2. 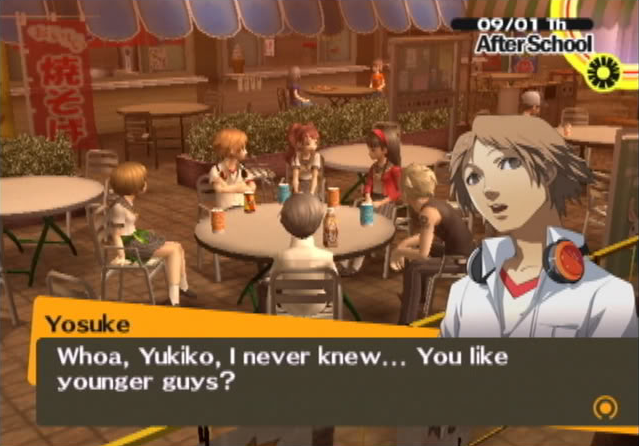 I decided to get Persona 4 as it was the best rated and reviewed game in the series and popped it into my console... and WOW... I was hooked. Set in the rural Japanese town of Inaba, mysterious murders begin taking place during foggy days, where the body is found hung from television antennaes. A group of schoolkids hear a rumour that watching a switched off TV at midnight on a rainy day will reveal their soulmate, but when they discover that the person they see on the TV is the person that will die, they do everything they can to save them. Whilst watching the TV set at midnight, the protagonist discovers an alternate world on the other side of the screen, a place with dark shadows. At their peril, the protagonist discovers his 'Persona', a being with great power summoned by realising their darker shadow selves, revealing their true personality. Having confronted their shadow self, they are able to use Personas to fight the dark shadows. When they see one of their friends show up on the TV screen, the schoolkids are determined to fight their way in the TV World in order to rescue their friend and find the killer behind the murders. The story is fast paced and immediately gripping, filled with distinct personality and humour. What makes this game different is the integration of real life events with events of the shadow world. As a schoolkid, you must juggle school, friends, relationships, family and part time jobs alongside battling, training and rescuing your friends in the TV World. Open and free, it is up to you to schedule your time between both worlds. Everyday, there are triggerable events and distinct opportunities which will help you in either world- a relationship boost? A sale for armour and weapons? Another dimension to the in game clock is the weather patterns. Every time there is fog and rain, you can watch the 'Midnight Channel' and a person may appear. If they do, you will have a set number of days to rescue them before they die. This retraint adds pressure to what you choose to do and how you spend your time. In the Human World, the town is diverse with several districts to explore- shopping, school, department store, home and river bank. Each will feature a range of unique characters and opportunities, including quests. At times, you will also be asked to look for something or interview someone in which knowing the places will help you greatly in completing the task! Building relationships is also a huge part of the Human World. By talking to friends and hanging out with them you can build 'bonds' which will help you and your personas in the TV world. With an open dialogue system, you can choose how to respond to your friends and each decision leads to a different result, creating dramatic, fun, embarrassing and even emotional moments. In the TV World, you and your friends explore each fog filled dungeon by walking and encountering shadows. Each dungeon has numerous floors, increasing as you progress the game, with a boss meeting you on the last floor. Combat is turn-based and strategic. Each character has their own skill set and persona with varying stats, strengths and weaknesses. As you encounter new shadows, you will be able to discover more of their traits and to utilise your personas accordingly. The graphics are beautiful still for a game released several years ago and it definitely maximised the potential of the PS2 visually. With a total of 9 dungeons to explore, the varying themes of each (steamy bathhouse/8-bit/marukyu striptease) make them very engrossing. Despite the very repetitive and at times tedious nature of exploration, you venture deeper and deeper into each as you yearn to discover the truth about the captive's personality. In order to create stronger personas, you can also 'fuse' them. By combining two or more personas, they merge to form stronger, more powerful ones. With hundreds of different personas, each with different skills and abilities, trying to fuse them all will take a large part of your time also. As the plot progresses and you obtain more and more clues to the investigation, the story takes a quick and dramatic turn, with an ultimatum of a climax. The final dungeons are hard, but worthwhile and the multiple endings drop hints and makes you feel the story is still incomplete, pointing to an unlockable 'true' ending. 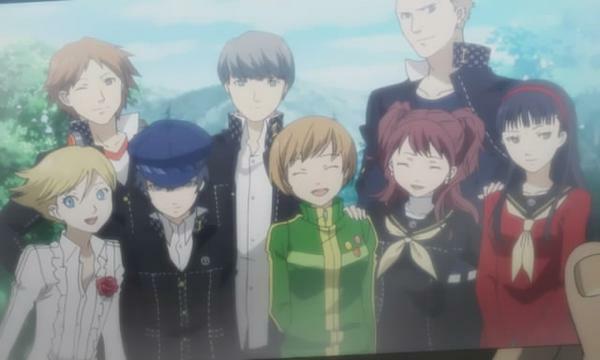 The movie scenes which finish off the story are emotional and you feel so attached to the characters and people around you that it really tugs at your heart as your character finishes his time at Inaba. It is satisfying, but really sad... and it is like they have become your true friends- no other game makes you feel like this! Much like Final Fantasy XII, it's taken me ages to finish this epic game. I started this last Summer and finished it only just now. With over 71 hours of game time clocked on my play through, this game offers so much in terms of depth in story, humour and is so personable that you just feel like you've been a part of a big story. It is so immersive that you get such a hype playing this. As the game is so open and with so many differing decisions, each playthrough of the story will be different and due to the fact that some areas, conversation areas and options are locked the first time you play, there is a real incentive to play again and again! 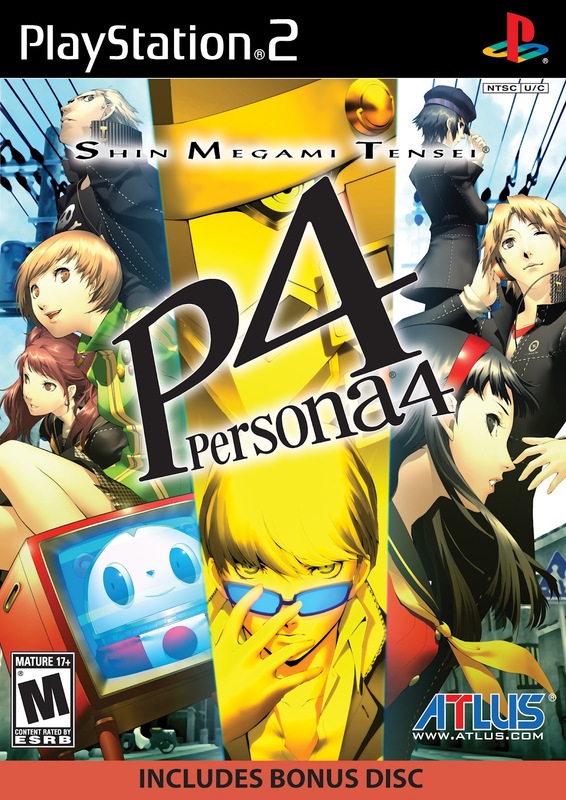 I cannot describe in words how amazing this game truly is and would urge you to play this if you still have a PS2 because this is unmissable and definitely one of the best games for the console. If you have upgraded however, fear not, Persona 5 is in the making and will be out within two years, most likely for the PS3. And for those who (like me) cannot wait, 'Devil Survivor 2' for the DS was released at the start of this year (which is on my list).